Valencia became the world’s ‘Running Capital’ on a day that marked a new Women’s Record thanks to the Ethiopian athlete Gudeta Kedebe, who broke the old time with a sizzling 1:06:11 in a race that was solely for women. Geoffrey Kamworor became the Men’s World Half-Marathon Champion for the third time in a row, crossing the Finishing Line of the IAAF/Trinidad Alfonso WHM Championships Valencia 2018 in just 1:00:02. No fewer than 300 elite athletes, representing 88 countries and federations took part in the World Championships in Valencia. 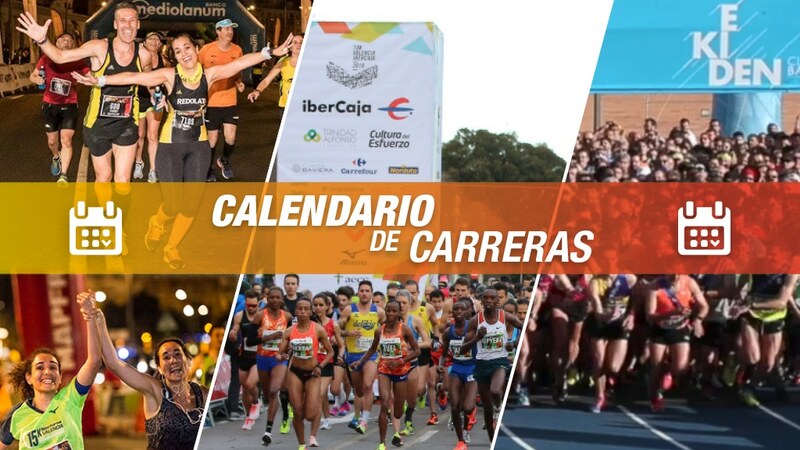 A host of amateur runners crossed the Start Line at Puente de Monteolivete (bridge) in this world-class event in which not only the Women’s Half-Marathon Record was broken but a new record for participation was set with 14,688 runners competing in the Half-Marathon. Furthermore, there were over 12,564 runners who crossed the Finishing Line at The City of Arts and Sciences, sprinting over the bridge against the city’s futuristic backdrop. The race was televised by TV stations around the world, showing off Valencia to the rest of the planet. 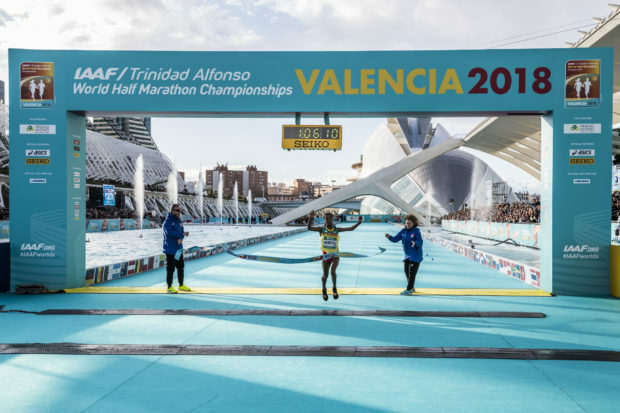 Valencia’s townsfolk came out on to the streets to enjoy the IAAF/Trinidad Alfonso World Half-Marathon Championships Valencia 2018 on Saturday afternoon. The elite athletes and amateur runners ran the 21-kilometre course, cheered on by the thousands lining the streets and who would not have missed the event for the world. 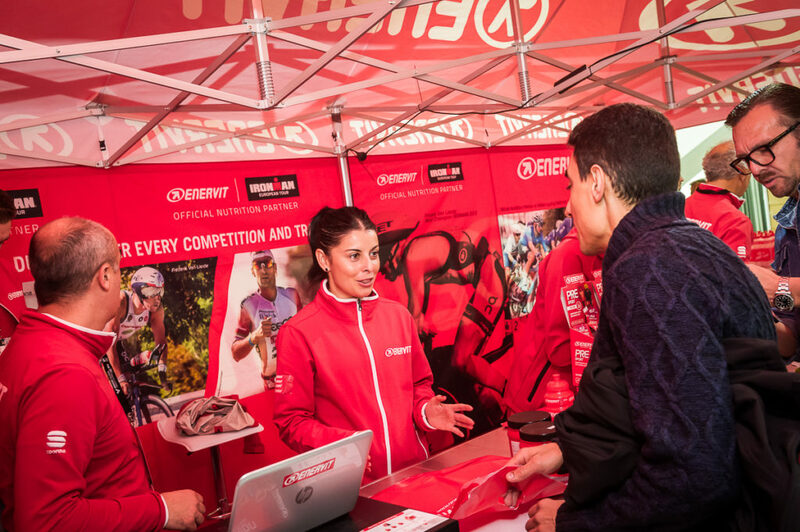 The spectators and over 30 support points cheered on the world-class runners in this unique, unforgettable race. The wind did not dampen the spirits or slacken the pace of the thousands of runners and the public cheering them on. Volunteers lent their support to the IAAF/Trinidad Alfonso WHM Championships Valencia 2018. This support began with the arrival of the first teams in Valencia. The volunteers attended to the over 14,000 runners, handing out race bibs and bags, helping them out with other things, and generally encouraging them to do their best in this great sporting event. Furthermore, 800 volunteers crowned the runners’ achievement by handing out medals to the Finishers. Valencia experienced the best that running has to offer, celebrating a new Women’s World Record. 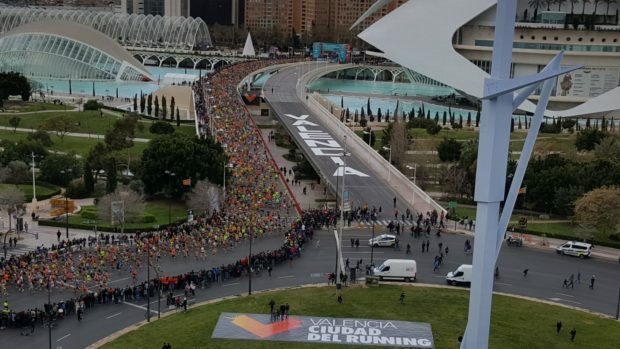 Everyone enjoyed Valencia — ‘The Running City’ — in this Half-Marathon World Championship, with its spectacular setting, cheering crowds, brilliantly-organised refreshment points, smooth running, and amazing finish in The City of Arts and Sciences. 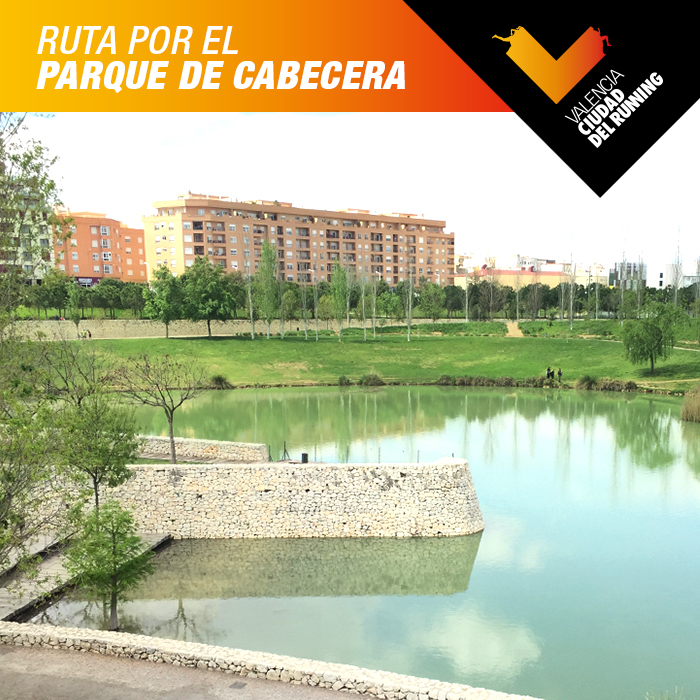 Previous PostPrevious Why do women choose Valencia, ‘The Running City’ to race in?